Volcanic eruptions are among the most perilous natural disasters. So why are scores of cities nestled just beneath these dangerous giants which are poised to spew fiery rock, lava, and ash at any moment? 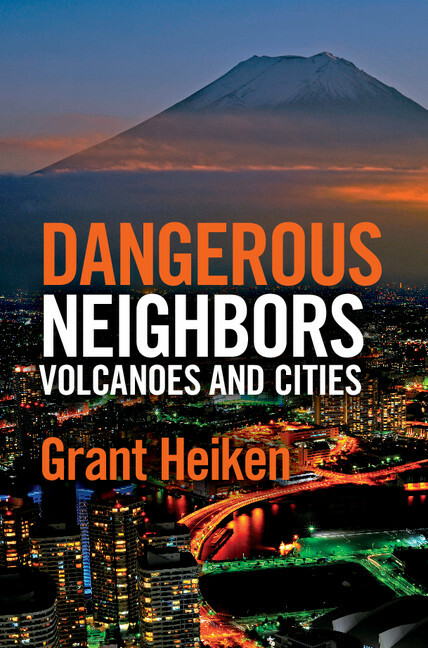 Dangerous Neighbors takes a hard look at cities, volcanoes, and disaster preparedness. It was a total disaster: tens of millions of yards of lava ﬂowed down the volcano’s lower slopes and into the city of Goma in the Democratic Republic of the Congo. In January of 2002, ﬁssures opened along the southern ﬂanks of Nyiragongo volcano, draining a lava lake and unleashing the massive lava ﬂow. After damaging 14 villages on the volcano’s slopes, lava ﬂowed down Goma’s broad main street; commercial buildings served as the molten river’s banks as it moved at a walking pace. Within hours, lava ﬂows reached the airport, covered most of the runway, and severely disrupted the ongoing United Nations relief effort for war refugees from Rwanda. The lava ﬂows were another form of hell for the one million residents of Goma, which lies on the border between the Congo and Rwanda. The political scene in 1994 had been bad enough: the city was overwhelmed by as many as 12,000 refugees a day ﬂeeing the genocide in Rwanda. At the peak of the conﬂict nearly a million refugees camped along this strip of land between towering volcanoes and Lake Kivu. Many of the refugees had returned to Rwanda or moved on to other places, but Goma continued to feel the effects of the Congo wars in 1997 and 1998 as well as intermittent conﬂicts after that. Food shortage, overcrowding, and socio-political difﬁculties were the natural results. Nyiragongo erupted into this overcrowded, desperate situation, displacing more than 120,000 people; there were 170 deaths, chiefly caused by exploding gasoline storage tanks. A French–Italian volcanological team, working under very difficult conditions, concluded that future eruptions could still occur farther downslope along the same fissures. The volcanologists also realized that if the fissures had continued to grow into nearby Lake Kivu, they might have triggered a massive release of the carbon dioxide and methane being held under pressure in the lake. This type of gas release would result in thousands of casualties from carbon dioxide asphyxiation. This was an additionally significant volcanic event because Goma was the first large city actually invaded by lava flows since Catania, Italy, was damaged during Mount Etna’s eruption in 1644. Goma has the misfortune of being located along a line of volcanoes that follow the broad East African Rift Valley. Two of the largest of these volcanoes are 10,032-foot-high Nyamuragira and 11,384-foot-high Nyiragongo, which towers overGoma. Nyiragongo, whose summit crater is only 11 miles north of the city, has demonstrated beyond a doubt that it is a dangerous neighbor – one to be watched closely and trusted not at all.